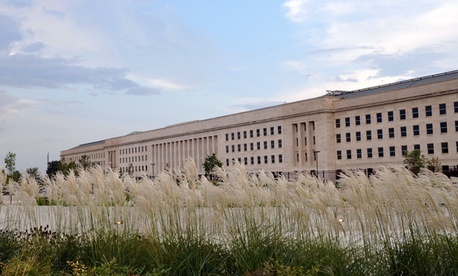 The controversial move by the Defense Contract Audit Agency to more selectively perform incurred costs audits lacks an implementation plan, a time frame and performance metrics, according to a Government Accountability Office report. Three years ago, DCAA’s newly installed Patrick Fitzgerald began refocusing resources and revamping audit procedures and training to stress quality over quantity. This type of triage meant raising by tenfold the threshold dollar amounts that trigger incurred cost audits of fixed-priced and cost-type contracts. Efforts to reduce the backlog of incurred cost audits, the report said, face obstacles such as limited data and performance metrics. “The military departments have limited data on the extent and nature of their contract closeout backlog, and the Defense Contract Management Agency --which performs contract administration services for the Department of Defense -- is missing information that would allow it to identify contracts that it could act on,” GAO said. DCAA’s ability to meet its goals will depend on how many contract proposals are deemed high-risk and hence worthy of focus. The Army recently announced a goal of closing more than 475,000 contracts by September 2014, GAO said, but it does not yet have the information necessary to know if it can reach this goal and does not have an implementation plan. “The Navy and the Air Force had not established any departmentwide performance metrics for contract closeout. In contrast, DCMA has established two agencywide performance metrics related to contract closeout that are regularly monitored,” the report said. GAO recommended that DCAA develop a plan and improve its data on “over-age” contracts and that the services develop contract closeout data and set performance measures. After reviewing a draft report, Pentagon managers agreed with the recommendations and DCAA said it would have a detailed plan by March 2013.